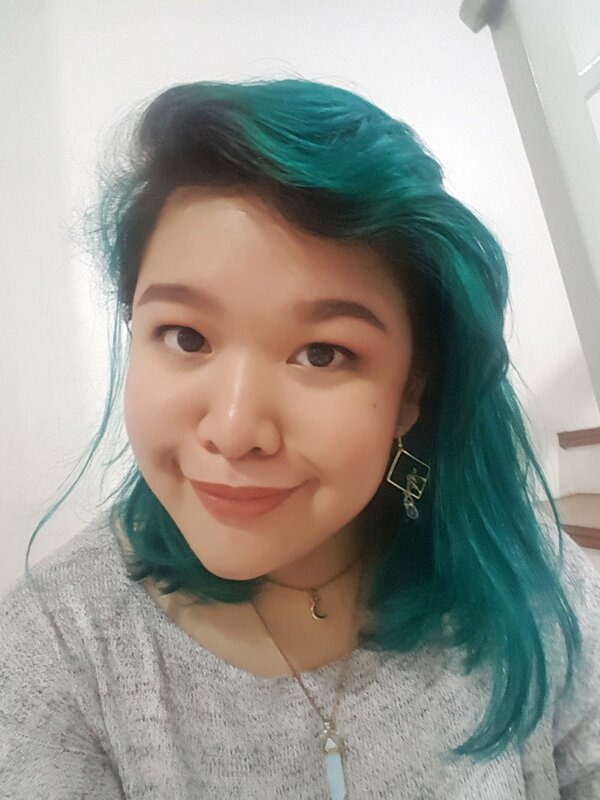 I recently cut and dyed my hair teal as inspired by my iconic ‘90s mahou shoujo inspiration, Sailor Mercury! I used my favorite hair dye of all time, the Arctic Fox Vegan Hair Dye in Aquamarine, which is a brand known for their bright and long-lasting colors. Here’s a photo of me feeling very cute with my freshly-dyed lob alongside the official art of Sailor Mercury! Anime fangirling aside, I was super pumped about having a fab new hair color. Though it’s not an exact shade match, it looked pretty close under the salon lighting! I’m no stranger to “weird hair colors”, having done a strawberry brown within a week of graduating high school to sporting a blue-green ombre at last year’s PV anniversary. Much like Sam, I’m pretty comfortable with DIY-ing and shopping for my hair dye dreams, though I decided to have this one done professionally for a change. But I will always hate about having dyed hair is the tenuous aftercare! 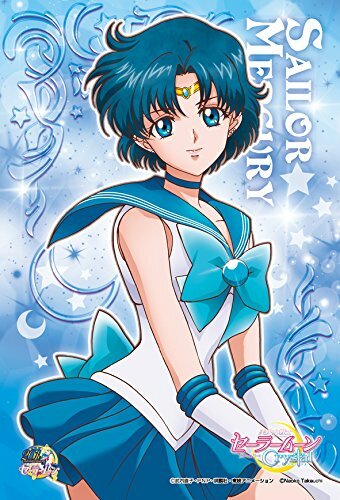 “Crazy” colors like this Sailor Mercury teal have a tendency to run, especially if you wash too often. And because hair treatments and retouches can get a little expensive AND troublesome, I minimize the wash out by using shampoo and conditioner that extends the lifespan of my colored ‘do a little longer! Enter the Beauty & Planet Blooming Colour Shampoo & Conditioner! Vegan, sustainably-sourced, and packaged in a lovely, eco-friendly, recycled container, this newcomer is priced pretty competitively at P390 for a 400ml bottle over at Watsons. Made with murumuru butter and scented with rose, this particular variant promises “vibrancy for colour-treated hair & acts of love for our planet”. I was also impressed by the ingredients list: no silicones, no parabens, no dyes, plus there’s guarantee for ethically-sourced ingredients. Additionally, the conditioner boasts of a ‘fast-rinse’ technology to help reduce your water consumption while showering. A quick visit to the brand’s website also shows an impressive 4.2 rating from more than 12,000 users for the conditioner, and 4.1 from roughly 14,000 users of the shampoo. The website also lists the complete ingredient lists. It’s worth noting that both products contain some form of fragrance, as well as coconut oil which can be irritating for some people. Make sure to patch test first to check for any negative reactions. Developed specifically for colored hair, has great reviews, reasonably priced, and formulated and packaged with an environmentally conscious design? It sounded WAY too good to be true! And sadly, it was. Despite what looked to be a promising new contender for my colored hair care, Beauty & Planet caused my hair dye to run like crazy when I first washed with it! I was pretty shocked to see BRIGHT BLUE water run down the drain when the dye I used had never failed me before and was well-regarded as one of the better dye brands. I was in denial at first, thinking that maybe it was residual dye. But comparing my first photo and the ones after washing with Beauty & Planet, the huge difference in both hair color and texture. My hair looked and felt much drier, but my scalp was quite greasy. I loved the amazing smell and how it made my hair feel so soft as I lathered it, but the real results became more apparent as my hair dried from the shower. I immediately noticed drier hair tips after the first wash, so I started using a hair serum to keep my hair looking sleek and healthy. Because of my high expectations for the Beauty & Planet shampoo, I didn’t even think to take a photo directly before my shower - after all, I had used other regular commercial shampoos and conditioners before without encountering any problems. Besides the fact that my hair color changed significantly after one wash, I was frustrated with how dry my hair became, making it harder to style. I decided to go back to my regular products for my next wash the week after, in the hopes that returning to my usual routine would balance out the extra oiliness and crispy hair texture. After my hair seemed better, I tried using Beauty & Planet’s formulas again. While it was not as frizzy or dry-looking, my hair’s color significantly changed yet again. It looked more basic green rather than its original teal. This made me feel really bad because this dye usually lasts me a good two months before showing any significant changes, but it faded so quickly with just two washes. Beauty & Planet may have a lot of positive reviews even from some of the other girls from the PV team, but when it comes to actual colored hair care, this vegan set from Unilever still has a lot to improve on. 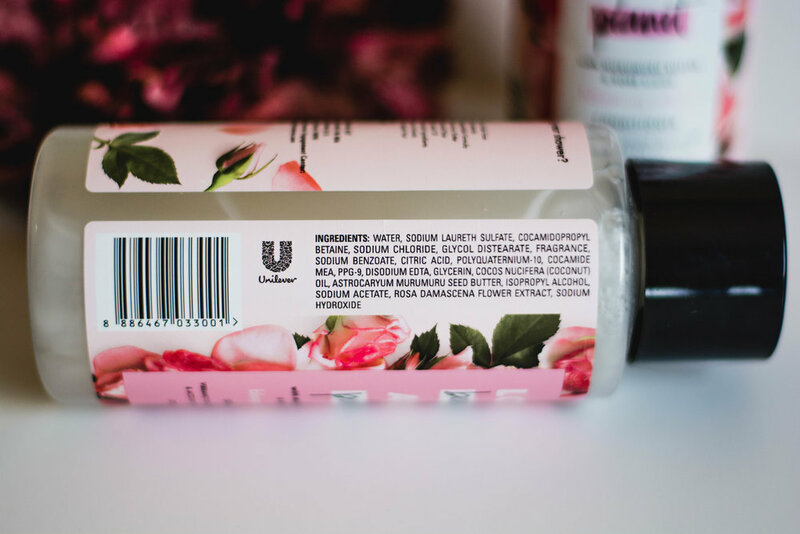 Though it boasts of being cruelty-free, vegan, and eco-friendly, these labels aren’t enough to make up for how it caused all my precious color to literally go down the drain. Maybe the other variants work better and maybe only use this if you DON’T have colored hair. Beauty and Planet seems to be a brand trying to do good by Mother Nature, and I certainly appreciate that as a consumer. But I still hope they can do better by their customers in the future!